This means, you can write code in any manner, but remember what you should follow and what not. These best practices will not just improve readability of your code; you will learn to create quality software. The topics can be broadly divided into two categories; one is naming convention and second is the best practices to design a class. d. Constants- A constant must be upper case. Unlike class, variable and method, its words should be separated by underscores. e. Interface- All rules for interface name are same as the class. It should be an adjective instead of the noun. It would be good if you start your interface name with the capital I, so it would be easy for searching it in a large codebase. f. Package- All letters of the package should be lower. A project must have the package name of up to three levels. If your company’s domain is XYZ.com and project name is ABC, then package name should be “com.xyz.abc”. Then you can create multiple packages inside abc for different things i.e. beans, database, util. a. 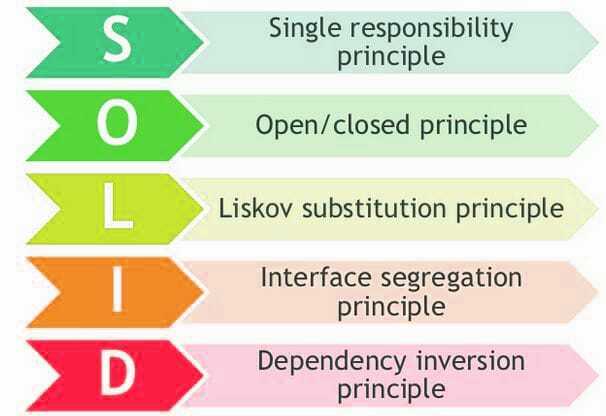 Single Responsibility Principle (SRP) - A class should have one and only one responsibility. All its methods should work together to achieve a single goal. E.g.- If you are fetching location of a user, it should only do location related jobs. If it’s a model class, it should represent only one entity. b. Open Closed Principle (OCP) - A class must be open for extension but closed for modification. This means you should write a class in such a way that if your fellow developer wants to use your class, he should be able to inherit it. If any extra feature is required with existing, he should be able to override that method and write code for the extension. There should not be any need of modification in existing code. e.g. – Have a look at the Spring framework in java. You cannot modify its logic but you can create application flow by extending its classes. Square ‘is a’ Rectangle with specialization. It has same length and width. You can create Square by extending Rectangle which is looking logical. But if you set the width in the square, it sets height too. If you set height, it sets width too. The fellow developer can’t see this behavior and he will expect that if he is setting the only width, then there is no change in height. This breaks the Liskov’s principle. There is an interface called “IShape” with two methods- getArea() and getWidth(). If you are creating a Circle by implementing this interface, you will implement getArea() method but you will be forced to implement getWidth() also even if there is nothing like width in a circle. You have to implement it and leave it blank. You can create a new interface called “IPolygon” by extending “IShape”. IShape will have only one method getArea() and IPolygon can have the getWidth() method. (i). High-level modules should not depend on low-level modules. Both should depend on abstractions. (ii). Abstractions should not depend upon details. Details should depend upon abstractions. For example- If you are paying at a shop with a credit card, you should not be bothered by whether it is Visa or MasterCard. The high-level credit card should not have any effect on the effects of low-level specialized cards. You can swipe any card in the machine. These two techniques are the basic techniques to write the professional code. The article may look like more of Java, C++ & PHP specific. The naming convention is based on Java naming convention. Rules for the different languages are different. But basic rules are same for all OOPS languages. In next article, I will come with object declaration techniques. Till then learn and implement these rules. I would love to see your thoughts on the comment. Nice information given by you . I will share this URL with my team member.